The Illinois Criminal Justice Information Authority (ICJIA) Targeted Violence Prevention Program (TVPP) is a new initiative intended to prevent terrorism, through funding from the US Department of Homeland Security. The program claims to be a “non-punitive,” “therapeutic,” and “community-driven” approach to preventing violent extremism. 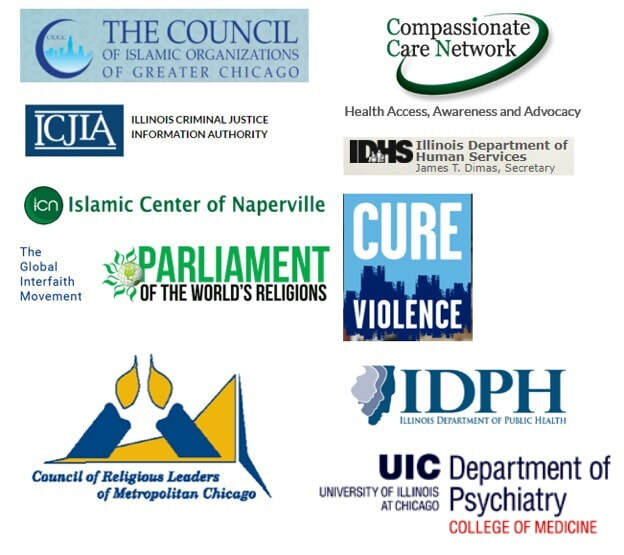 In Chicago, TVPP asks trusted community members like imams and mental health professionals to “off-ramp individuals who exhibit warning signs of radicalization to violence as well as those who exhibit behaviors signifying they may be in the early stages of planning an act of ideologically inspired targeted violence.” Although ICJIA suggests that TVPP is distinct from CVE, TVPP still relies on assumptions driving debunked radicalization theories: that we can identify who may vulnerable to violent extremism using a checklist of warning signs and risk factors. ​Although TVPP claims to borrow practices from public health models of gang- and suicide-prevention programs, there are no scientifically proven indicators that a person may be radicalizing or vulnerable to violence. As the Brennan Center for Justice finds, “it is only in retrospect that changes in behavior—particularly subtle ones—appear consequential.” Using disproven "risk factors" and "warning signs" to identify people vulnerable to "ideologically-inspired violence" is unscientific and justifies racist policing by our doctors, counselors, teachers, imams, community leaders, FBI agents, and local law enforcement. TVPP is CVE, re-branded and re-packaged, carried out by a law enforcement agency, and funded, in part, by the US Department of Homeland Security. ICJIA has claimed its TVPP program is different from other CVE programs. In fact, its director calls it an imagined CVE program because TVPP has "learned what not to do by looking at mistakes of the past." Although ICJIA has sought to distance itself from CVE programs, it still seeks to train social service providers to identify individuals at-risk of violent extremism using "warning signs of radicalization to violence." Social scientists have demonstrated repeatedly that there are no proven ways to identify these individuals and that other models--public health, violence prevention, gang prevention--cannot correct this failed science. Do not be tricked by this sinister rebranding of CVE - CVE by any other name IS STILL CVE. Remember, this program is funded by the US Department of Homeland Security and there are ZERO mechanisms to prevent information-sharing with the government. We do not need BETTER collaborations with the US government that merely shore up support for the same policing institutions that historically have criminalized our communities - we need new forms of public safety INDEPENDENT OF the US security state. Refuse to participate in any “bystander-gatekeeper” trainings that ask participants to identify individuals vulnerable to radicalization. Educate your community on the dangers and harms of TVPP and CVE. Ask your community organizations and schools about their relationship with TVPP partners and their participation in other CVE programs like the FBI’s Don’t Be a Puppet online learning module.